Is the Ark of the Covenant in Africa or Is It an Anti-Semitic Hoax? A theory claiming the Ark of the Covenant is in Ethiopia has resurfaced. The theory is unproven and seems to be based more in its author’s personal agenda, deep within Replacement Theology rather than archaeology and fact. Cornuke admitted that there was no proof the Ark was in Axum. Harry Moskoff, a writer/journalist and investigative archaeologist, disagrees with Cornuke’s theory. In his book, The Ark Report: The Ark of the Covenant and the Tunnels of Israel, Moskoff discusses his theory of the ark’s location based research as well as ancient Jewish sources. Moskoff emphasized that the history of the Temple is well-documented in Jewish sources and there are no claims that the Ark, the central feature of the Temple, ever left Jerusalem. Moskoff suggested that the church in Ethiopia may contain an artifact though not the Ark of the Covenant containing the stone tablets given to Moses on Mount Sinai. Moskoff believes the motives behind Cornuke’s theory is based in Replacement Theology much more than a historical curiosity. Moskoff’s theory and search for the ark are based in facts and research but his motives are religious. As far as Ethiopia goes, the main story that the Ethiopians have tended to believe contradicts scripture. Then the aforesaid Book proceeds to give an Account how the first begotten, at the Initi’gation of Azariah the Son of Sadoc the fable about Prieft, took an Oath to one another to carry away with them the Ark. Ark of the Covenant, which they call’d the Heavenly Sion and that going by Night to the Temple, Providence fo ordering it, they found the Gates open, and put the Ark upon a Cart, and being attended by abundance of People, with much Wealth, and great Acclamations, they travell’d to fwiftly, that Solomon, who went to recover the Ark, could not overtake them, and with the fame Expedition they crofs’d the ‘Red Sea as joyfully as the Children of Ifrael had done, with only this Difference, that the Ifraelites pafs’d it on Foot without being wet, and they flying in their Chariots ; fo that the Sea obey’d the “former, and the Air was fubfervient to the latter. This Book farther tells us, that when Queen Maqueda underfood that her Son already made King was coming, and brought along with him all the firft begotten, as alfo the Ark of the Heavemly God of Sion, (he went out with great Solemnity to meet them, and plac’d the Ark in the Temp!e of the Laud of Maqueda, all the People of Ethiopia receiving the Knowledge of the true God (Balthazar Telles, John Stevens. The Travels of the Jesuits in Ethiopia. J Knapton, 1710, University of Lausanne, p. 69). The above would not seem biblically possible, but the Ethiopians have long believed that the Ark is in their country and that a son of Solomon, who is not mentioned in the Bible, brought it there. 35:1 Now Josiah kept a Passover to the LORD in Jerusalem, and they slaughtered the Passover lambs on the fourteenth day of the first month. 2 And he set the priests in their duties and encouraged them for the service of the house of the LORD. 3 Then he said to the Levites who taught all Israel, who were holy to the LORD: “Put the holy ark in the house which Solomon the son of David, king of Israel, built. It shall no longer be a burden on your shoulders. Now serve the LORD your God and His people Israel (2 Chronicles 35:1-3). Thus, if the Ark of the Covenant possibly made it to Ethiopia it was not until well AFTER the Ethiopians normally claim it first came there. And if it was, maybe it first was in Egypt and moved by Jewish leaders, like Robert Cornuke seems to believe. That may be at least biblically plausible. But, I and others are not convinced. If it exists, the land of Israel seems to make the most sense. An international team of archaeologists has announced plans to search an area the Bible says once stored the Ark of the Covenant. On the highest hills in west Jerusalem, Kiriath-Jearim is mentioned in the Bible as a resting place of the Ark of the Covenant, a gold-gilded wooden chest from the Book of Exodus that contained tablets inscribed with the Ten Commandments. The project is a joint venture of Tel Aviv University and Collège de France to be directed by Israel Finkelstein, Christophe Nicolle and Thomas Römer. Excavation at the site is due to take place between August and September. In the First Book of Samuel, the ark brought curses, plagues and suffering to the Philistines. Its terrifying metaphysical powers have been adopted by Hollywood filmmakers such as Steven Spielberg and Cecil B. DeMille. Spielberg’s 1981 “Raiders of the Lost Ark” saw the sacred covenant become the object of a race against time between fictional archaeologist Indiana Jones and Nazi antagonists. Israeli and French researchers will begin excavating the ancient site of Kiriath-Jearim, for the first time in August. It is one of the few remaining unexplored biblical sites, where the Ark of the Covenant was kept for two decades, according to the Bible. The Ark – which is believed to be a wooden and gold plated box that contains the ten commandments handed to Moses, were speculated to come with a curse. The rumours inspired the script of Hollywood blockbuster Raiders of the Lost Ark. Some believe that the search in Kiriath-Jearim is more for the Ten Commandments than the Ark of the Covenant, but I suspect the researchers will be pleased if they find anything of direct biblical connection–and they very well may. livescience.com – A newly translated Hebrew text claims to reveal where treasures from King Solomon’s temple were hidden and discusses the fate of the Ark of the Covenant itself. The newly translated text, called “Treatise of the Vessels” (Massekhet Kelim in Hebrew), says the “treasures were concealed by a number of Levites and prophets,” writes James Davila, a professor at the University of St. Andrews, in an article in the book “Old Testament Pseudepigrapha More Noncanonical Scriptures Volume 1″ (William B. Eerdmans Publishing Co., 2013). “Some of these (treasures) were hidden in various locations in the Land of Israel and in Babylonia, while others were delivered into the hands of the angels Shamshiel, Michael, Gabriel and perhaps Sariel …” writes Davila in his article. I have heard the Hebrew claim years before the above came out. 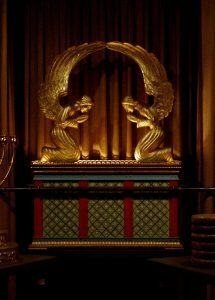 One concern that I have had is that if the Ark of the Covenant is found, this could possibly get more of the Jews to support the ecumenical end-time religion that will call itself Catholic. This would be consistent with biblical (Revelation 13:4,8; 2 Thessalonians 2:9-12) and Catholic prophecies (see further below). It has been suggested that the physical ark of the covenant that the children of Israel had was patterned on one in heaven, thus it could still be on earth. If it will be found, there is a small chance that the Continuing Church of God may have some involvement with it as we are considering involvement in an archeological project in Jerusalem in the area known as Mt. Zion. On October 24, 2013, while attempting to take some photos and to video some of the remains of the Church of God on Jerusalem’s Western Hill, I was approached by a Jewish rabbi named Avraham Goldstein of the Diaspora Yeshiva who claims that the Ark of the Covenant is below that building on Mt. Zion of the Western Hill. It is interesting, however, that many of the Muslims believe that their Mahdi will rise up after the finding of the Ark (the Mahdi of Islamic prophecy seems to be the same one that the Bible indicates will be the final King of the South). Events seem to be happening in the Arab nations that align with the rising up of such a leader. Perhaps, if the Ark is publicly shown, he could point to it as proof that his timing for rising up was prophesied. We will see. And it probably is there now. But since both Islamic and Catholic prophecies suggest that it will be found, it is possible that some of them will point to the Ark in Ethiopia (some believe Ethiopia has the original Ark, while others believe that it has an early copy) or one in Jerusalem (or elsewhere) as proof that their prophecies are to be fulfilled. Or perhaps to a different location in the future. Or Catholics may claim that if the Ark of the Covenant has not been found, that some will claim that this is additional proof that the real two witnesses are not God’s two witnesses. Notice that the Catholics want to place their practices on it (by Holy Sacrament, they seem to mean their Eucharistic practices; here is an article about their origins: Marcus, the Marcosians, & Mithraism: Developers of the Eucharist? ), these are the same Catholics that also keep trying to gain control of the Church of God on Jerusalem’s Western Hill. Others say that Zion was really on the eastern side side of Jerusalem, and thus, that may be where the Ark could be or end up. If the ark of the covenant is now below the Church of God on Jerusalem’s Western Hill, known as Mt. Zion, that would have ramifications for the world as well as the Continuing Church of God (see Church of God on Jerusalem’s Western Hill). It possibly could be related to a dream by a lady named Fesilafai Fiso Leaana of New Zealand, She had a dream after going to bed on December 8, 2012 that included a comment about the Ark, see Temple Institute claims about the ‘Foundation Stone’ not truly scriptural and differ from Continuing Church of God beliefs and Dreams, the Bible, and the Continuing Church of God. I presume that if the Ark ever publicly is shown (the one in Ethiopia was supposed to be shown publicly a few times, but has not been), some may wish to more thoroughly examine it. 1 Again David gathered all the choice men of Israel, thirty thousand. 2 And David arose and went with all the people who were with him from Baale Judah to bring up from there the ark of God, whose name is called by the Name, the LORD of Hosts, who dwells between the cherubim. 3 So they set the ark of God on a new cart, and brought it out of the house of Abinadab, which was on the hill; and Uzzah and Ahio, the sons of Abinadab, drove the new cart. 4 And they brought it out of the house of Abinadab, which was on the hill, accompanying the ark of God; and Ahio went before the ark. 5 Then David and all the house of Israel played music before the LORD on all kinds of instruments of fir wood, on harps, on stringed instruments, on tambourines, on sistrums, and on cymbals. Only Levites were supposed to move the Ark, and that is what David finally realized. Non-Levites, like Uzzah were never supposed to touch it. That is absurd, but many associated with the Church of Rome believe that Mary will be used to unify the world around a modified religion that will be called Catholic. ‘Mary’ is part of the ecumenical and interfaith agendas that the Vatican is pushing, and of course, she is NOT the Ark of the New Covenant. As far as the Ark goes, while it may be remotely possible that the Ark could be in Ethiopia, I remain highly skeptical. Nor is it likely to be in Kiriath-Jearim, though that would not seem to be impossible. While Solomon wanted it to be in the temple he built to house the ark forever, God had David write Zion was the chosen location. There is a chance that we will see the Ark or a strong claim that someone has located the Ark within the next decade or so. Why is a Jewish Temple in Jerusalem Not Required? Although people like Timothy LaHaye teach a third Jewish temple is required, who is ‘the temple of God” in the New Testament? Does the Bible require a rebuilt Jewish Temple? Here is a related item in the Spanish language ¿Por qué no se requiere un templo judío en Jerusalén? Here is a link to a sermon titled The Temple, Prophecy, and the Work. Nascent Sanhedrin structure and high priest: The plan is to start animal sacrifices this would fulfill prophecy! The reconstituted Sanhedrin wants the reimplementation of animal sacrifices. A related video is titled Sanhedrin pushing animal sacrifices. The Red Heifer, Jewish Beliefs, and the End of the World The Temple Institute is watching a ‘red heifer.’ Why might this be important in the sequence of end time events? Here is a related link in the Spanish language Novilla roja descubierta en EE.UU. e Instituto del Templo está interesado en ella. Here are links to two related videos in English: Red Heifers and the Fate of the World and The Red Heifer and the End of the World. Freemasonry and the Destruction of Rome? What is Freemasonry? What about ties to the Illuminati? Could they be involved in the fulfillment of prophecy? Here is a link to a related sermon: Freemasonry, Armageddon, and Rome. Location of the Prophesied Physical Temple Leroy Neff gives his rationalse for the location of the coming temple. Solomon’s Temple This is a a 5 minute animated film that shows one artist’s understanding of the details about Solomon’s temple. Dreams, the Bible, the Radio Church of God, and the Continuing Church of God How has God used dreams in the past? Does God still use dreams? Did He use any involving those in the Continuing Church of God? Here is a link in Spanish: Sueños, la Biblia, la Iglesia de Dios de la Radio, y la Continuación de la Iglesia de Dios. A related sermon is also available: Dreams, COGs, and One Man Rule. Africa: Its Biblical Past and Prophesied Future What does the Bible teach about Africa and its future? Did the early Church reach Africa? Were there Sabbath-keepers in Ethiopia? Will God call all the Africans? Catholic Prophecies: Do They Mirror, Highlight, or Contradict Biblical Prophecies? People of all faiths may be surprised to see what various Roman and Orthodox Catholic prophets have been predicting as many of their predictions will be looked to in the 21st century. Who Are The Two Witnesses? What is their job? What does the Bible reveal? What has the Church of God taught on this subject? Might even Roman Catholic prophecies give some clues here? Here is a related link in Spanish/español: ¿Quiénes son los dos testigos? This entry was posted on Tuesday, December 4th, 2018 at 3:30 pm	and is filed under Religious News. 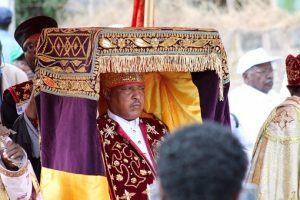 Ark of the Covenant to be Revealed in Ethiopia? Tiles in Jerusalem claimed to be from the Herodian temple: Is that certain? Another search for the Ark of the Covenant? BibleNewsProphecy: Does the ‘Cenacle’ deal have prophetic ramifications?